Overall Impression: The small Selena Cup is very similar to the standard sizing small MeLuna Cup. It is also similar to the firmness of the Meluna Sport which is the firmest version that they have to offer. 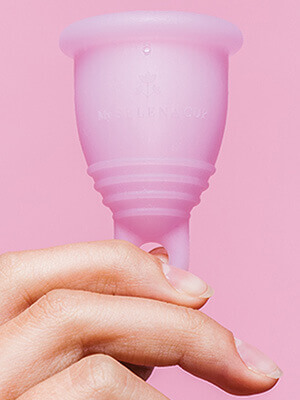 The Selena Cup comes with a ring stem with no other options. 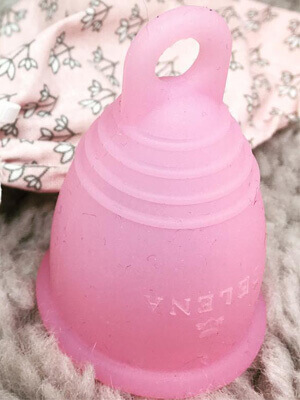 The difference between the two brands is that the Selena Cup is made of silicone, which some may prefer over MeLuna's TPE. The "Aktiv" version is extremely firm. It should have no troubles opening on its own. However, it may pose some problems if there are existing bladder sensitivities. The small Selena is short and narrow and may be a good size for someone with no penetration experience, teens, someone with a medium to a low cervix, or first-time users. A person who participates in sports or other physical activities may prefer a firmer cup over a softer one.